An extended version of this blog post was originally published on the Discover Society blog. Implementation problems defined by the failure to turn public policies into practice and deliver the intended results and effects are pervasive and highlighted by the new focus on performance measurement. Public decision-makers spend a lot of time and energy creating public policies and then leave policy implementation to public administrators. However, numerous studies have shown that there is often a considerable gap between the planned outputs and outcomes of public policy and what actually occurs. The failure to deliver public policies is highly problematic as it undermines the governing capacity of democratically elected politicians and tends to leave societal problems unsolved. While the traditional implementation theories primarily have located the obstacles to policy implementation either in the long-stretched administrative implementation chains, the coping strategies advanced by street-level bureaucrats or recalcitrant target groups, we propose that implementation problems are rooted in bad policy designs. Public policies are often flawed and ill-conceived, making them impossible to implement for even the most skilled and motivated public administrators. The problem is not merely that the policy makers suffer from cognitive limitations in the sense that they lack evidence that the new program theory will work or that they fail to anticipate implementation problems such as lack of skills and insufficient budget allocations. In most cases, the policy implementation problem goes much deeper as it is rooted in the failure to align problems, solutions, actors and resources and integrate local knowledge about the conditions on the ground. 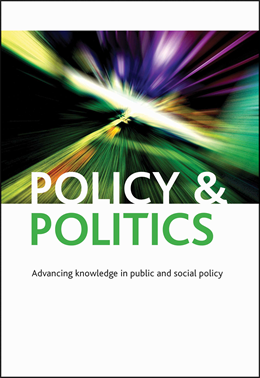 In our recent Policy & Politics article, we argue that policy designs can be improved through collaboration between upstream and downstream actors, including elected politicians, public managers, service providers, user groups and relevant interest organizations and advocacy groups. Multi-actor collaboration based on deliberation tends to bring forth relevant knowledge, stimulate processes of mutual learning and build joint ownership over the new solutions. Since the implementation of well-crafted policy designs cannot be ensured through traditional top-down implementation based on command and control, the collaboration design process should be extended in order to enable the adaptation of the initial policy design to better reflect local conditions and emerging problems and challenges. As such, policy design should be seen as an ongoing process that flexibly adapts as implementation challenges unfold. Taking a more collaborative approach to designing and flexibly adapting public policies tends to blur the sharp lines of demarcation between design and execution, top and bottom and public and private. Moreover, it helps us realize that implementation problems are not solved by managerial ploys aiming to clarify and communicate the policy objectives, plan the implementation process, evaluate performance and reward high performers/punish low performers. As such, the core of our argument is that the New Public Management agenda fails to address the heart of the so-called ‘policy execution problems’. More relevant solutions toperennial implementation problems are predicated on the new ideas of innovation, collaboration and resource mobilization set out by the New Public Governance perspective. In sum, our article offers a new solution on a classical problem: the failure to implement public policy. Instead of further pursuing the idea that the new managerialism will close the gap between planned and actual policy outputs and outcomes, we advocate the idea of collaborative policy design and flexible adaptation to emerging problems and challenges. Our argument is based on a theoretical rapprochement between established implementation theories and the new theories of collaborative governance and aims to open a new line of research.